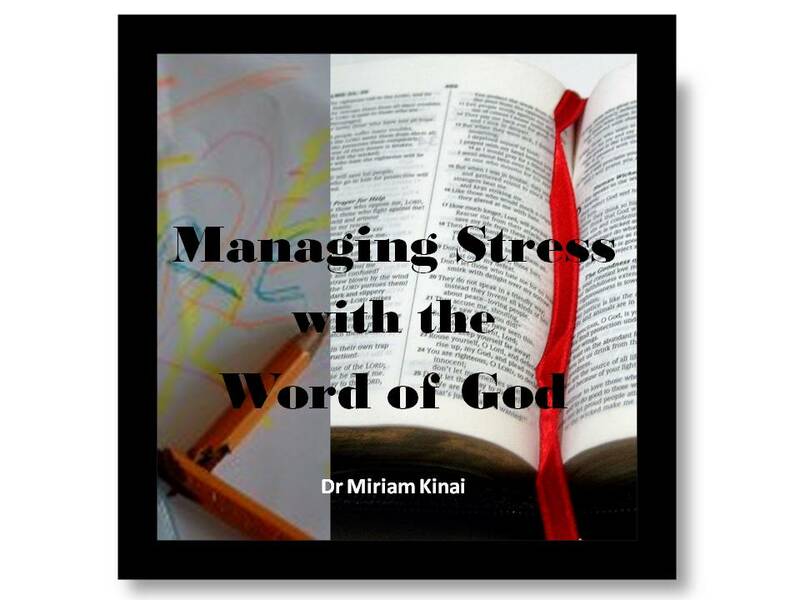 This book teaches you the Biblical principles and medically proven techniques to help you manage stress effectively. It combines the two approaches to help you cope successfully even with those stressful situations without an earthly solution such as chronic illnesses. To successfully manage any stressful situation, you have to let Jesus into your heart and into your life so that He can calm your inner stormy emotions and show you how to manage your outer stormy stressful situation. Jesus has taken the first step. He came to earth, was crucified for our sins and now He stands at the door of your heart knocking. He knocks and waits for you to let Him in voluntarily. He will not coerce you or force His way in. You have to admit to yourself that you need divine help and then make the conscious choice of letting Him come into your life. You may have dabbled in the occult, abused drugs or flirted with immorality. You may have broken all the commandments and your entire life may be in a mess but all this does not matter to Jesus. He wants to come into your life regardless of what you may have done and that is why He stands at your soiled door knocking. So let Jesus in right now. He wants to come in so that He can help you sort out your life and your stressful situation. You can let Him in today when you are stressed or you can let Him in tomorrow when you are even more stressed by your problems. Acknowledge that Jesus is Lord and then lay your entire life before Him so that the healing can begin. Let Him see what the storms have done to you. Show Him the cracks in the walls of your mind that keep extending everyday as your problems become more and more unbearable. Show Him the windows of your heart patched up with old newspapers that will not let the light of love in after the panes were shattered by unfaithful loved ones. Show Him the rooms in your head that you will not enter as they are haunted by broken dreams and wasted opportunities. Let Him smell the stench from the garbage that you brought home and grew attached to and have been unable to throw out. Let Him see the taps that will not close dripping tears of agony day after day, night after night. Show Him the toilets that will not flush and let go of painful memories as they are clogged with anger, bitterness and hatred. Unveil the wounds on your body that you have been hiding. Let Him see the hand that was amputated by the sharks, the eye that was blinded by the accident, the mastectomy scar and the kidneys that have failed due to diabetes. Show Him the limitations imposed on you by your financial setbacks - the vital medications you cannot afford, the meals you forego and the clothes peeling off your back. Let Him see the full extent of your depravity so that He can restore you to wholeness. Do not fear to bare it all for Him for He looks with love and listens with compassion. What you are unable to express in words, He is able to read from your heart. He can understand all those subtle nuances of anguish that you cannot verbalize. He will not flinch in disgust at the state you are in. He even wants to eat with you. He wants to share in your stress and suffering for He has accepted you. He loves you just as you are, right where you are. Let Him be the Friend who will walk with you through it all for He is the only one who can see it all and solve it all.